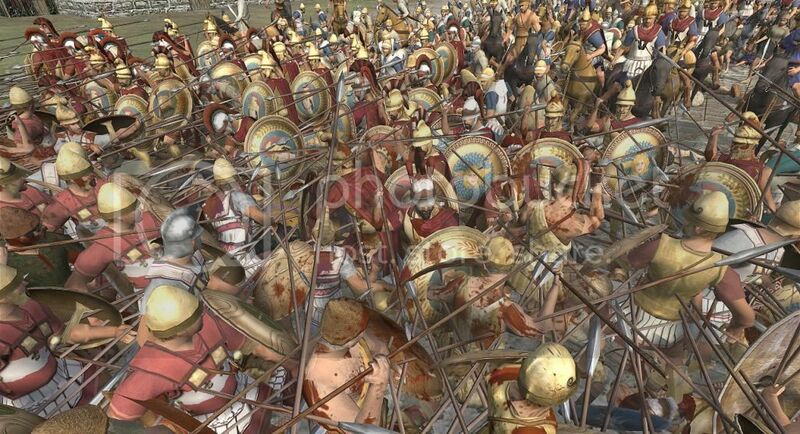 My Epeiros armies have taken down Makedonia and have started dismantling the Koinon Hellon, who always stubbornly refuse my offer of a ceasefire. 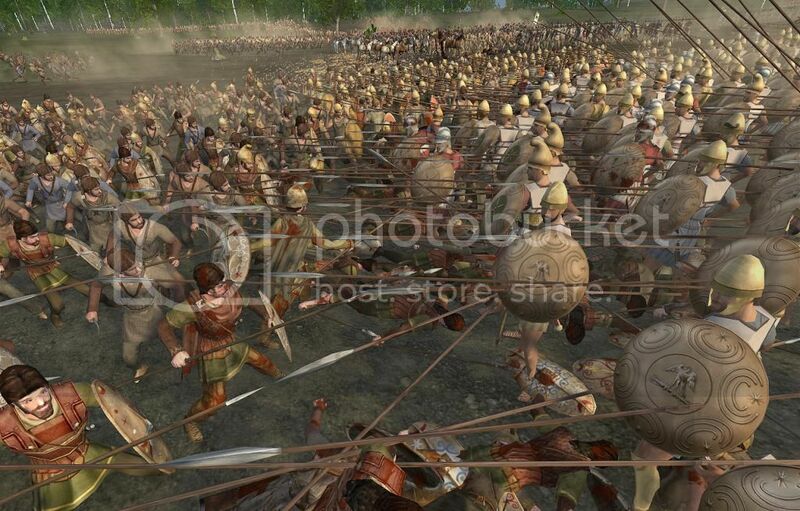 Having taken Athens, I move on to Sparta and there engage in a long fierce battle to take the city. 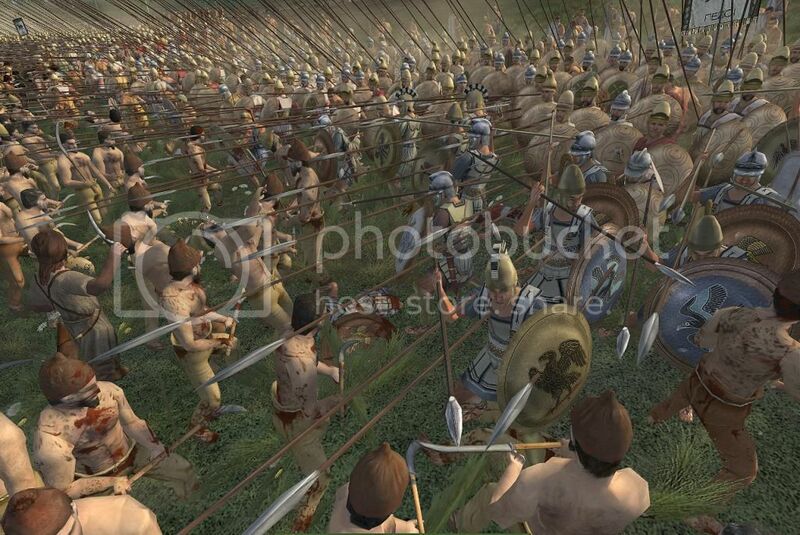 Regrettably I was timed out of a victory having undertaken a thrilling battle of attrition in the Spartan streets. I guess it's expected of Spartaaaa!!!! 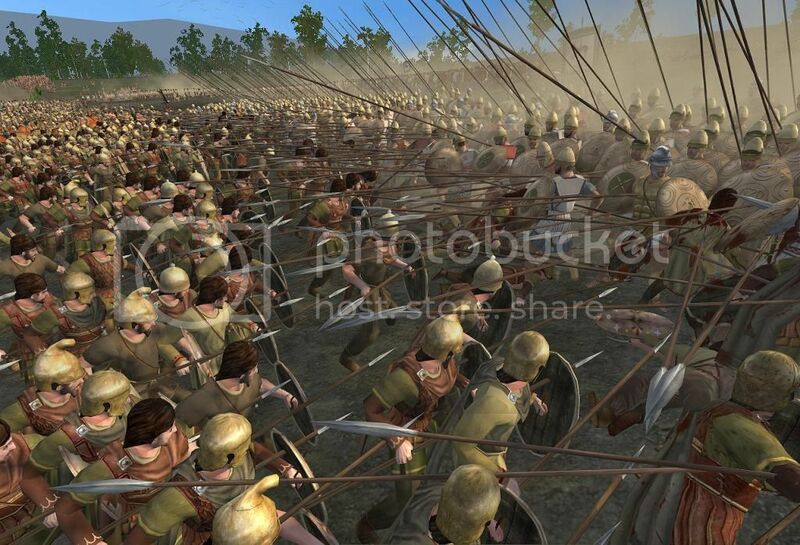 Looks like a long drawn out siege before all Greece is domain of the kings of Epeiros. To see bigger image right click and select view image. Last edited by caratacus; October 20, 2014 at 10:05 AM. 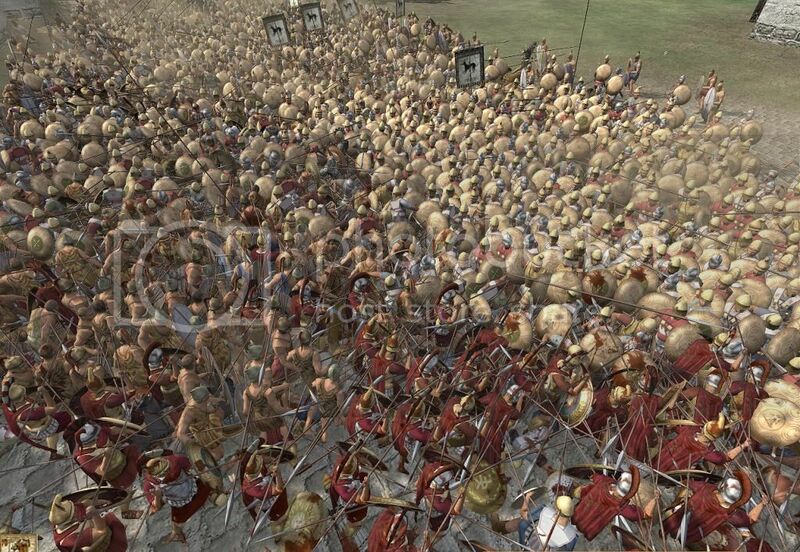 Hmm...the various Greek factions in this mod look pretty sweet, at least as good as the first EB if I recall. 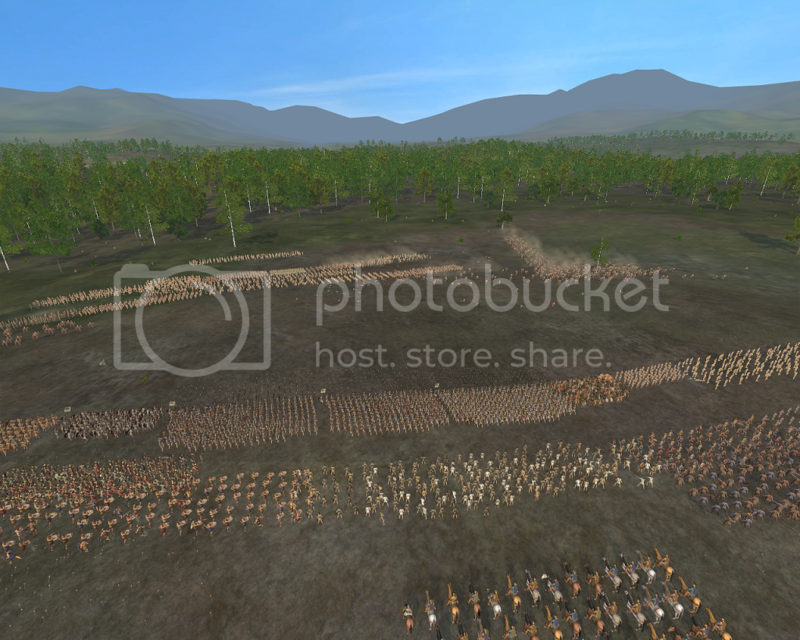 However, where are the post-Marian Roman units? All I've seen here are super-early Camillan and Polybian hastati and such. 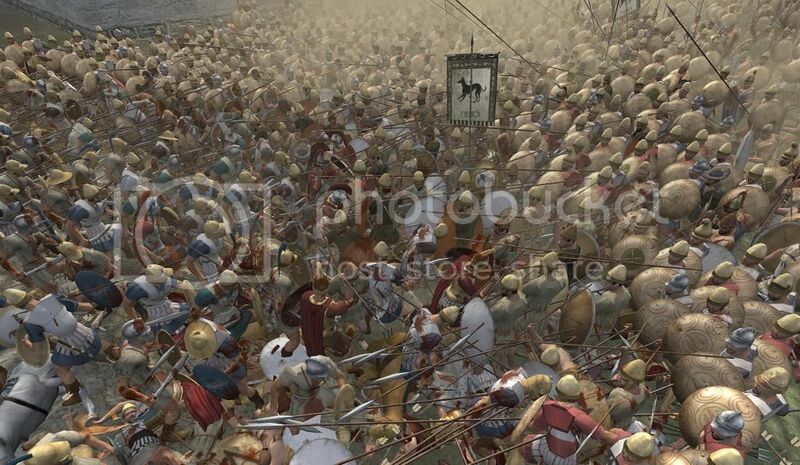 What do the later legions look like? 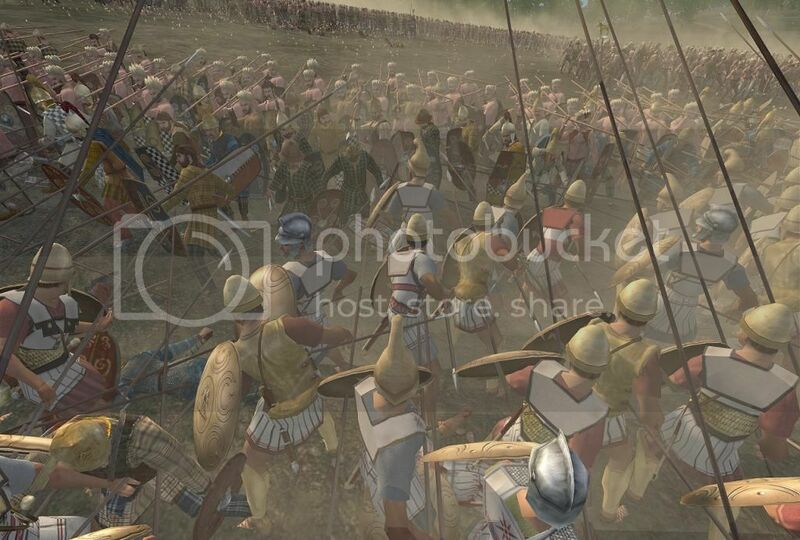 I know there aren't any lorica segmentata legions as stated in the main download page, which to me is a major drawback compared to De Bello Mundi which has tons of Imperial-era segmentata legions. 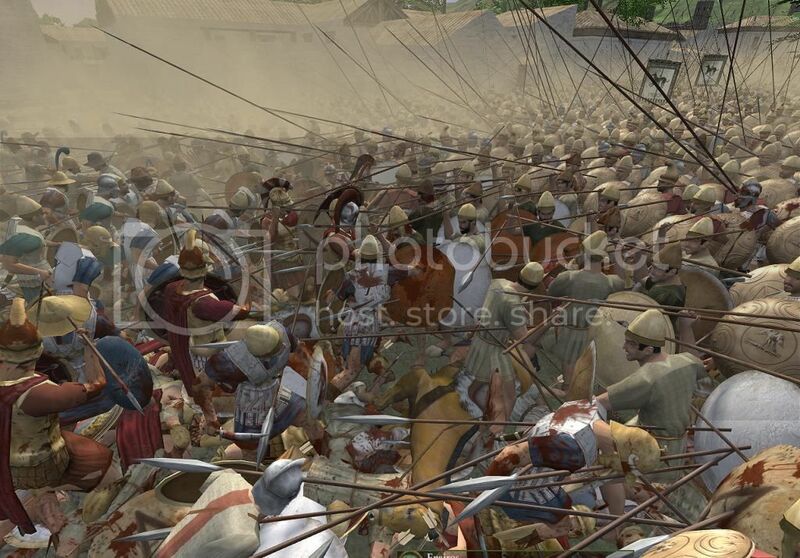 The Indian units look pretty cool, but if I wanted Mauryan Indian units I could just keep sticking with De Bello Mundi. Hell, that mod even has Han Chinese units! Now that's exotic considering how these games usually don't feature units from that far East. 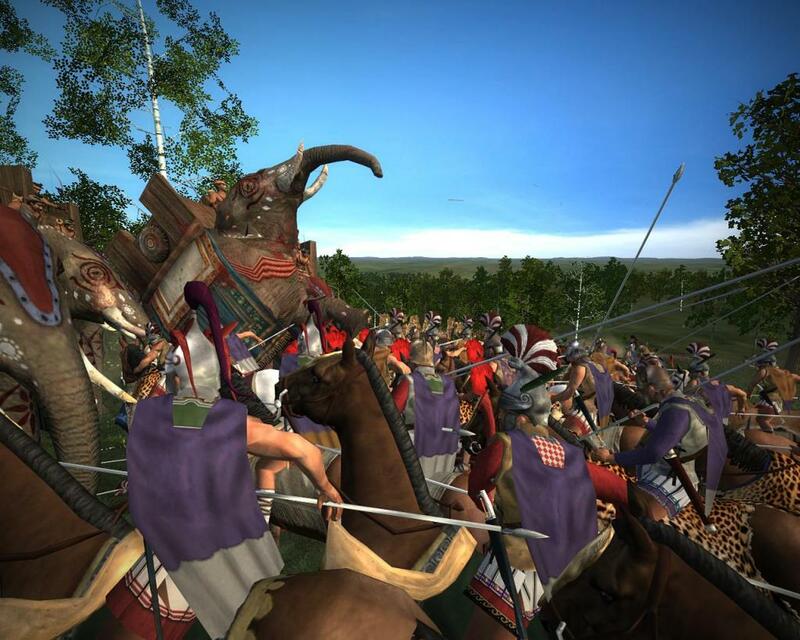 I remain unconvinced that I should drop De Bello Mundi and start playing this mod. I'm getting this old bug where the screenshot is only capturing a small portion of my monitor (upper left side), as if we're still playing on 17-inch CRT boxes and not hi-def widescreens. Anyone know the fix? 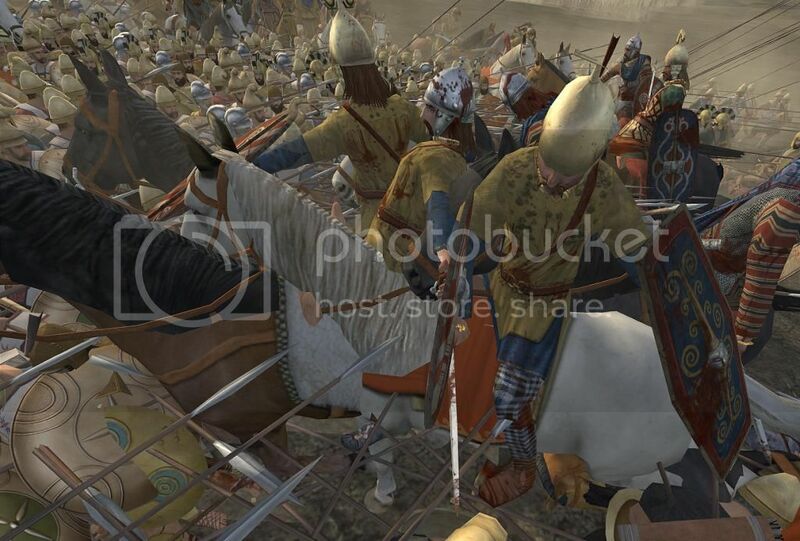 You guys don't even have Polybian, let alone Marian-era units in this game yet? I could easily live without legions wearing lorica segmentata, because that's the Imperial period and, as rightly argued, outside the time frame of EB II which ends around 14 AD with the death of Augustus. And I understand and truly appreciate all the hard work you guys have done for these mods. But come on...bounds of reason, bro. 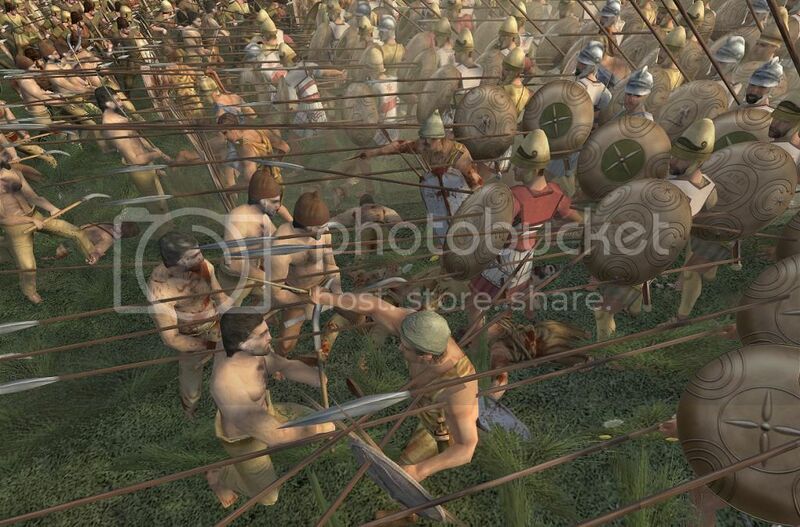 You've got to have at least the cursory Roman legionary type, the numbered legions as they appeared in the 1st century BC, who still wore lorica hamata (chainmail armor). I can only hope you guys are working on that for a later patch or sub-mod. Otherwise, I will happily continue playing De Bello Mundi. However, I promise to end my rant here. 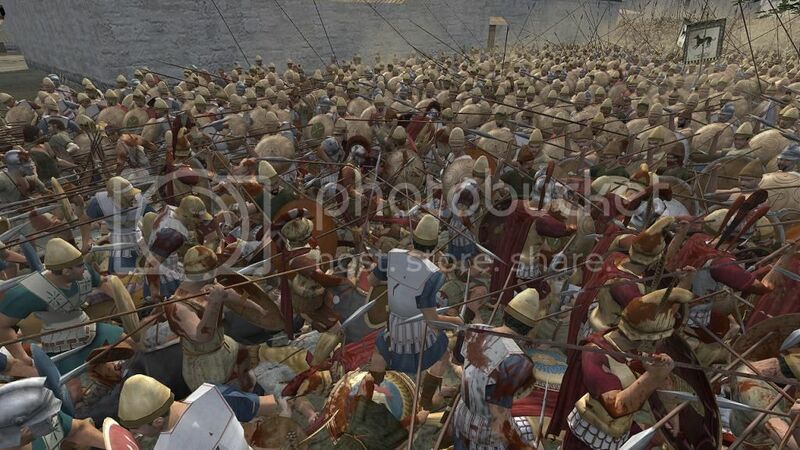 With that said, does anyone have screenshots of sieges? I'm very interested in seeing how you guys modded the settlements from Medieval to Antique style. 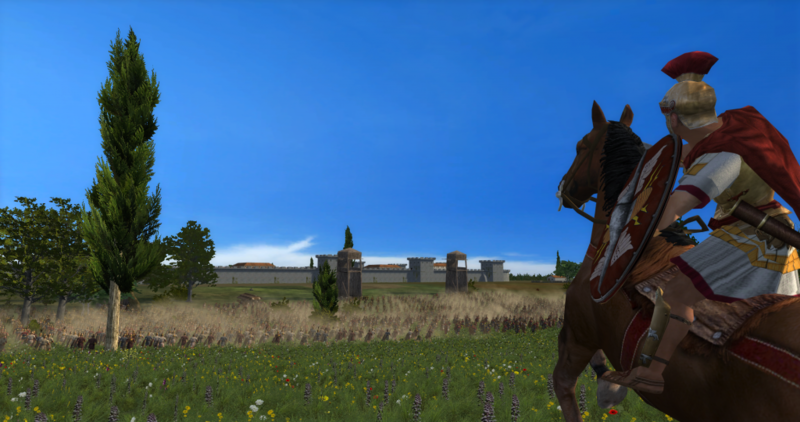 On that front the guys over at De Bello Mundi created very interesting-looking Roman cities using buildings from vanilla RTW and a few of their own creations. However, their Greek and Eastern cities look pretty bland. Indian cities are basically the Mesoamerican or Aztec type you saw in vanilla Medieval II. After quickly looking through this thread, I have to say that I'm quite impressed with the work you guys have done so far on Celtic/Germanic and nomadic settlements. I can only assume Greek, Roman, and Eastern cities look fantastic. Show me! Last edited by Roma_Victrix; October 21, 2014 at 11:40 AM. They are using the same cities for those cultures as DBM, with permission of course. Yes they are being worked on. As before, units take a long time to make, and if you look at the current units, you will notice the sheer amount time and effort that went into making them. The team does not sacrifice quality in making these units, hence the reason they take time. 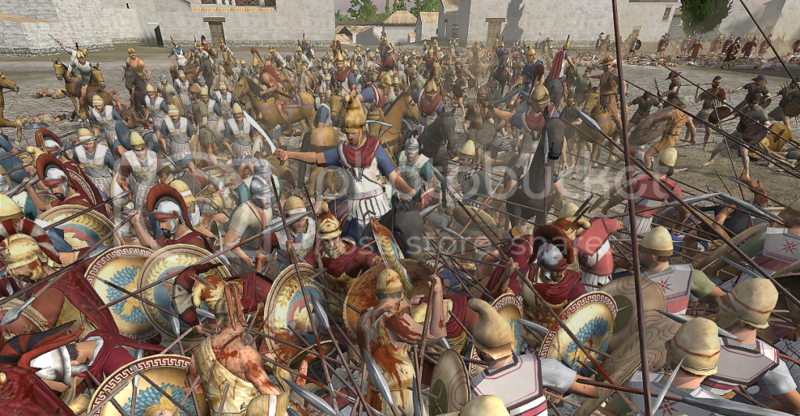 Further, when you say "got to have legionaries at the least," it seems a little demanding to the artists and unit modelers who are working hard to give you a unit that not only is historically accurate, but looks amazing too. Fair enough. I realize that everyone here has a job/social life/girlfriend/wife to deal with on a daily basis. None of us could possibly commit 100% of our time to a mod. 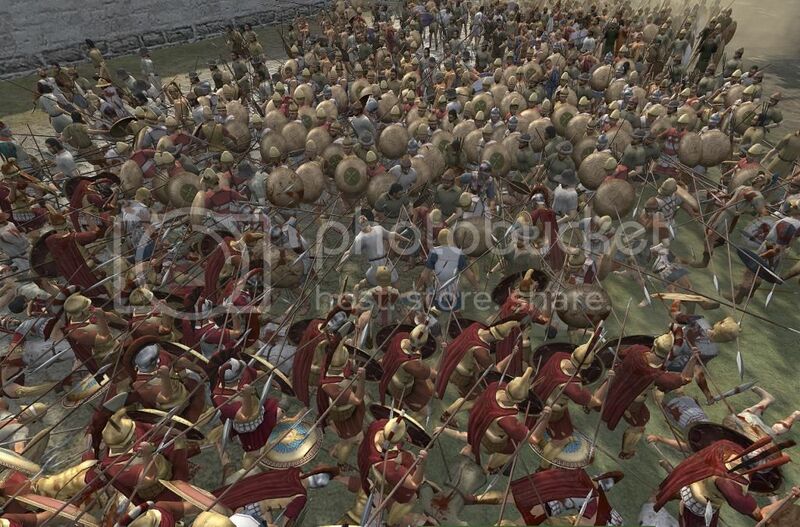 I'm very eager to see the updated units, but until then the mod seems pretty alpha to me if you play it beyond the year 200 BC. 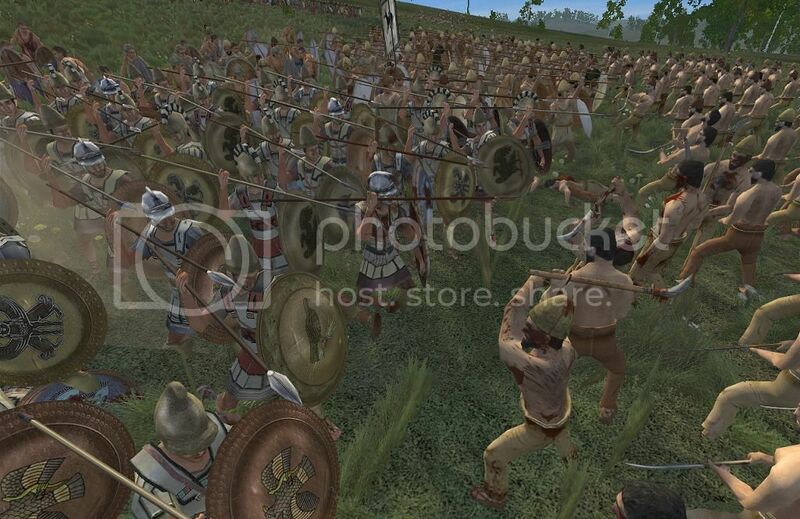 If you play it all the way to 50 BC then it would look very odd indeed fighting with Roman units that look like they belong to a different era. It would be like seeing 12th-century Crusader knights on a battle map for 16th-century Bourbon France, the era of pike and shot. 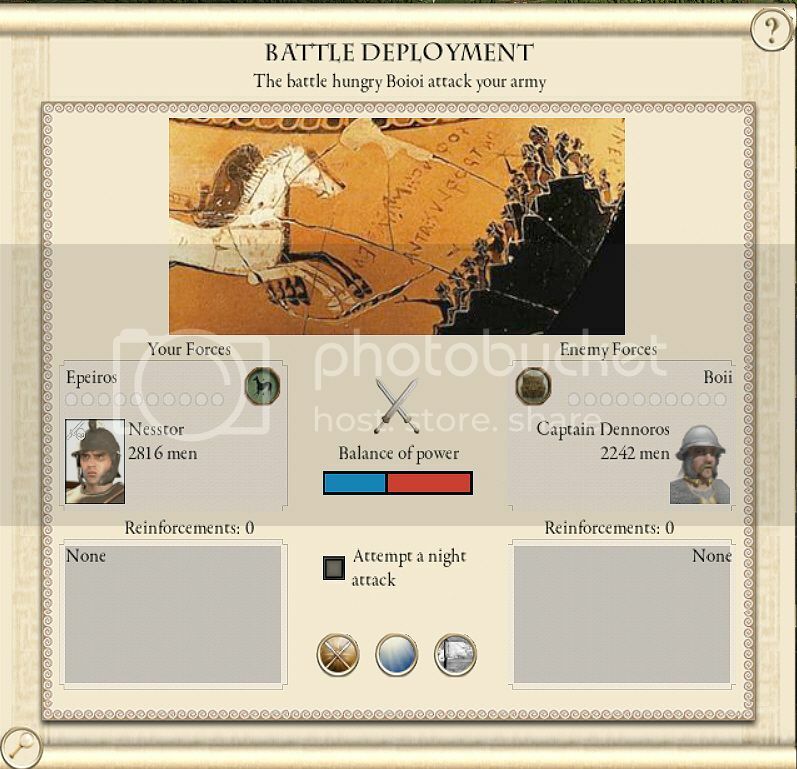 Perhaps the game should have its victory condition temporarily adjusted for a shorter timeline of 272 to 200 BC. Hmm...that's kind of a shame, especially when it comes to Greek cities. As I pointed out there recently, DBM is incapable of showing the temple building in settlements held by the rebel "slave" faction. For all other factions the temple type building can only be displayed on the battle map if the temple's level corresponds exactly with that of the settlement level (i.e. towns can only show shrines, large towns can only show temples, cities can only show large temples, large cities can only show awesome temples, and huge cities can only show pantheons on the battle map). The result is that the acropolis in the Greek city, or the city center for Roman cities, looks almost completely barren without a temple and completely undeveloped. That goes completely against the way things worked for Medieval II and Kingdoms, where a huge city could show all five levels of the religious building: the small church, the church, the abbey, the cathedral, and the huge cathedral. 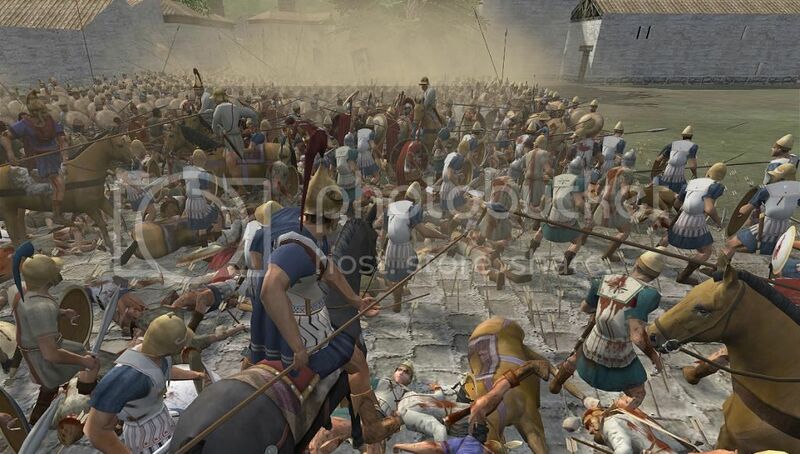 Given how the religious structure is the most prominent one in Greco-Roman and medieval cities alike, it makes for uninteresting game play when besieging a settlement. For instance, Athens, with nothing on its acropolis, looks far less like a metropolis and more like a poor unpopulated fishing village that happens to have a fancy stone wall. Last edited by Roma_Victrix; October 22, 2014 at 07:59 AM. 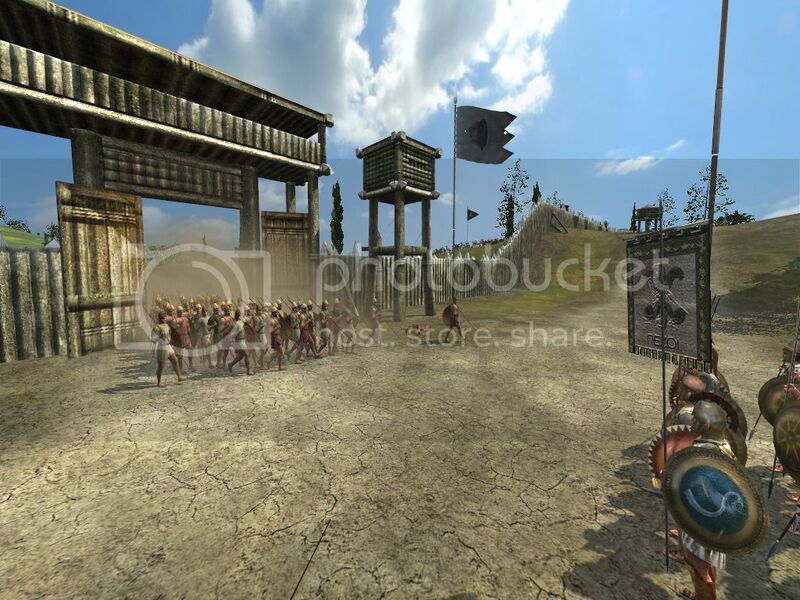 Not just DBM, we also have custom made settlements. Also the DBM wall textures were re-skinned by yours truly. 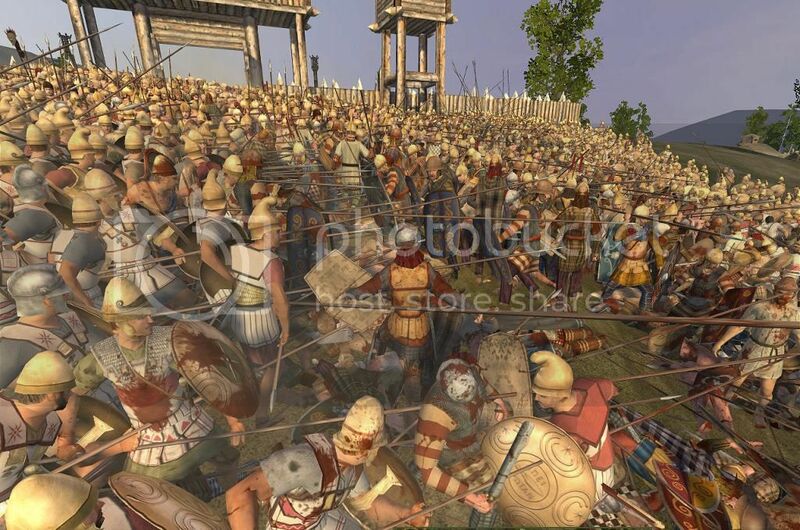 I'm very eager to see the updated units, but until then the mod seems pretty alpha to me if you play it beyond the year 200 BC. So in your view, a mod is in an alpha state because it's missing some content that you're interested in. 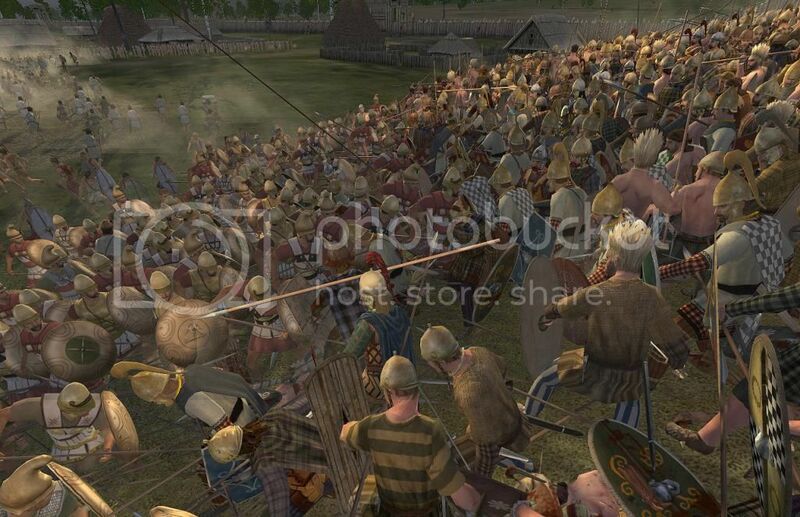 Despite having 200+ unique units, factions which do have late units and tons of unique content. 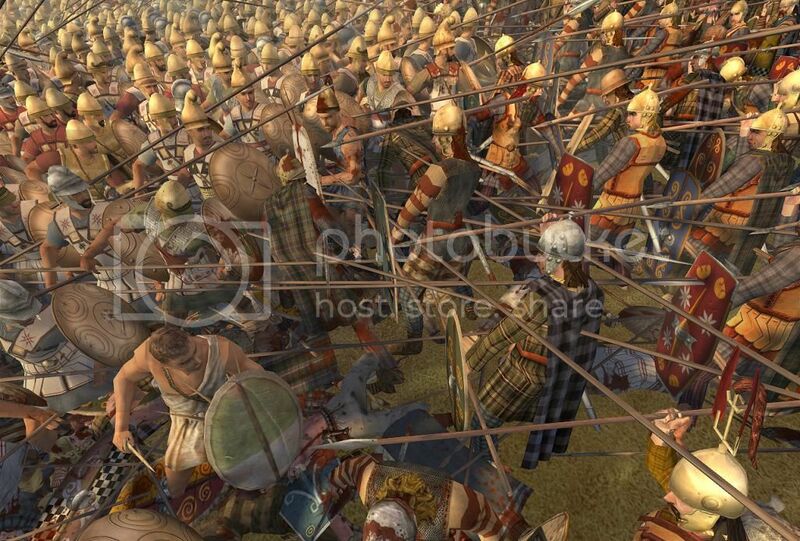 I understand that you're passionate about roman history and want just roman units, but our focus was that each faction gets an equal amount of attention. So until those are added the current state is not for you and let's stop calling it an alpha or other and have both parties focus on what matters for them. Last edited by alin; October 22, 2014 at 09:13 AM. You re-skinned them, eh? Cool! Do you have a screenshot of that, perchance? I'm very interested in seeing how you guys reworked the settlements. It might just convince me that EB II is the mod I should be playing. 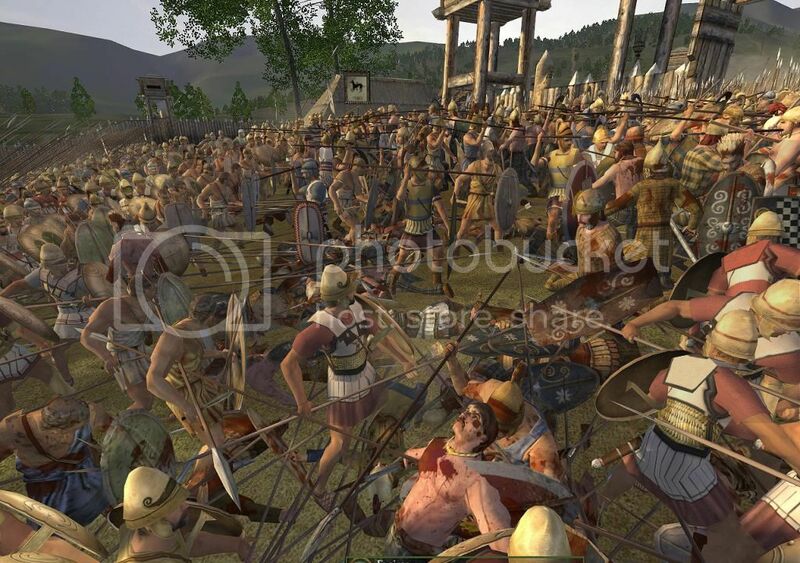 Well, alpha in regards to the Romans at least. You're right though, at least from what I can tell, the Hellenistic powers look fantastic and fully fleshed out. 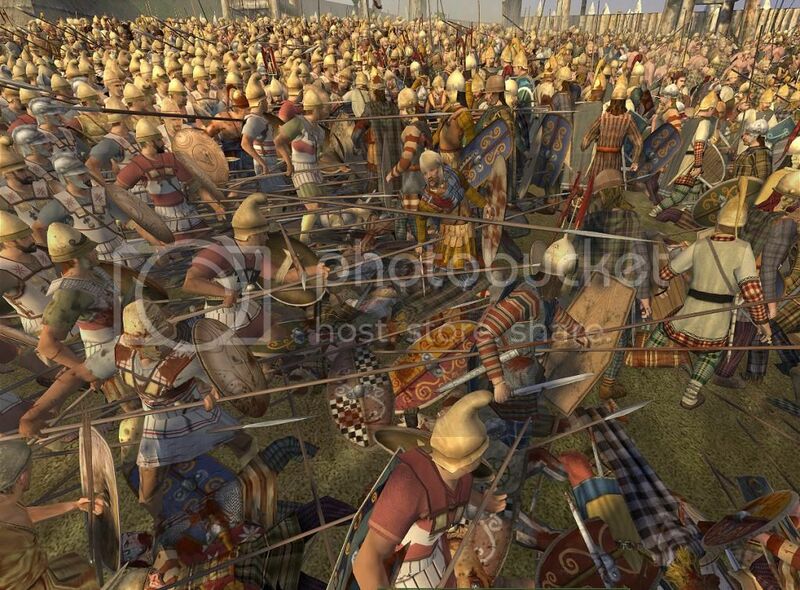 I assume the same has been done for the Celtic and Germanic factions, but I haven't seen as many pictures for them. From what I have seen, they also look great. 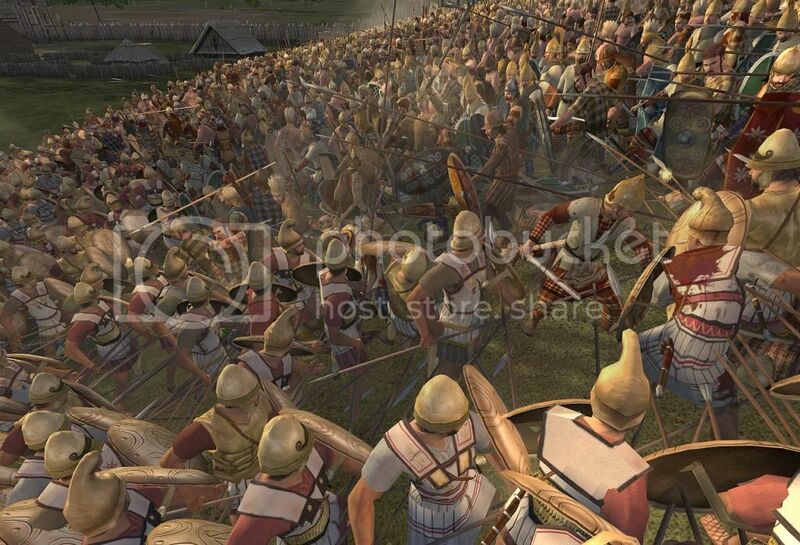 I think that, as it stands, this is a great mod for someone interested in playing as one of the Hellenic factions: Macedonia, the Ptolemies, the Greeks (Koinon Hellenon), the Seleucids, etc. What about Parthia, though? I don't recall seeing any screenshots of their units. Having conquered all of Greece and Crete my growing Epirote empire looked to which territory to push into next, for a further extension of it's domain. 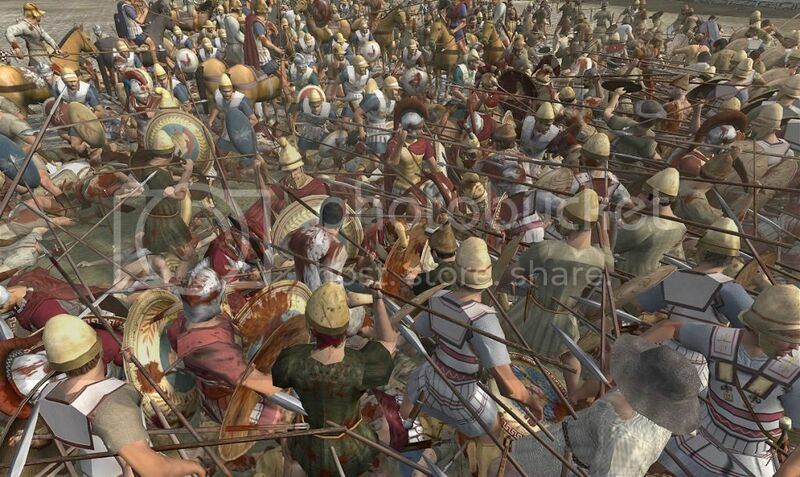 Things looked rather too dynamic in Asia Minor with a dominant Seleukeia and the Ptolemaioi clashing. 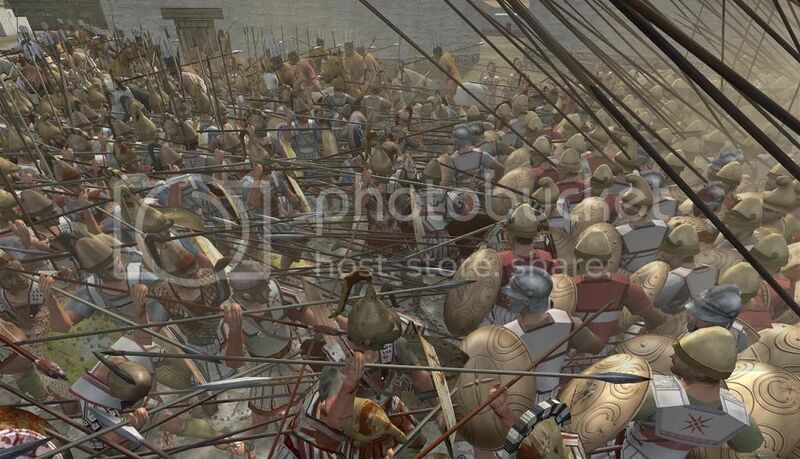 But I was keen to extend a foothold in case of attack across the straits of the Bosporus, and took important city of Pergamon after a big battle with its two defending rebel armies. 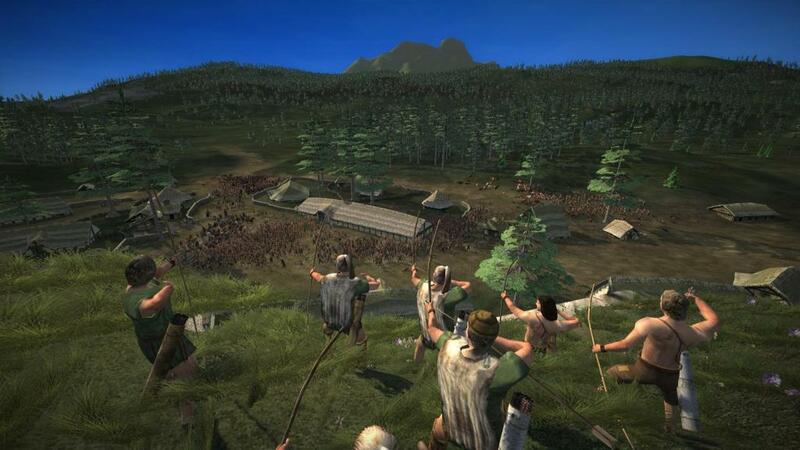 In the north I was reluctant to take on the Dacians, who are largely passive, but capable of inflicting a hefty blow to a developing empire, which currently has greater ambitions than military capability. I saw an opportunity of taking a rebel held settlement of Beripara, positioned close to their heartlands. 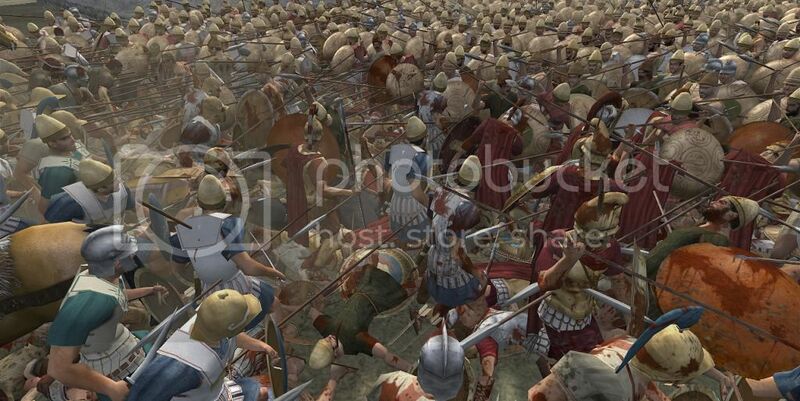 However the move stole a target from a large Boii army, who then besieged the city and shortly afterwards stormed the gates to attack my army inside. 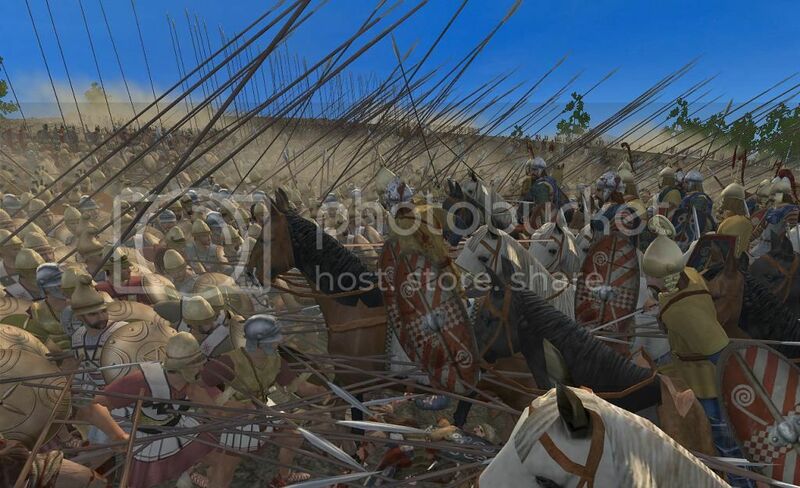 The attack was intense and their warriors poured through the breached gates. 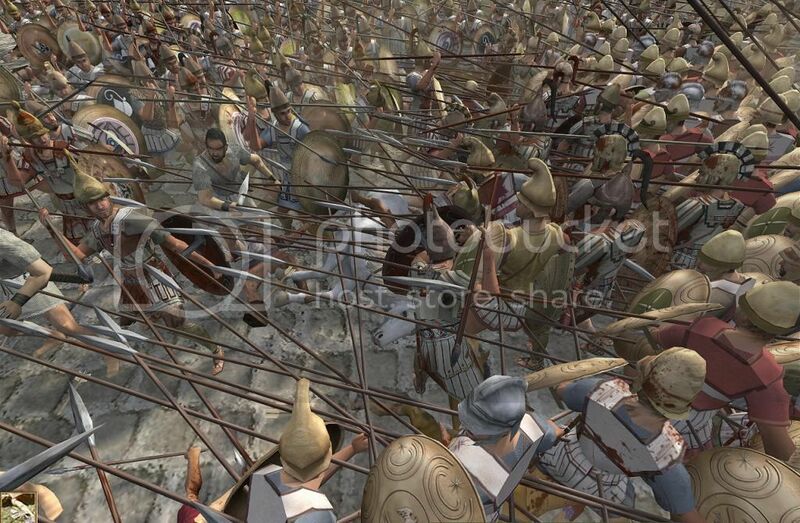 However Boii advance was eventually checked and the Epirote phalanx spearmen squeezed the Boii warriors back to the gates, from which it turned into a full scale rout when their general fell. Surely the reference to Boioi in the battle intro screen is a mistake!? Epirote's neighbors become increasingly more hostile. 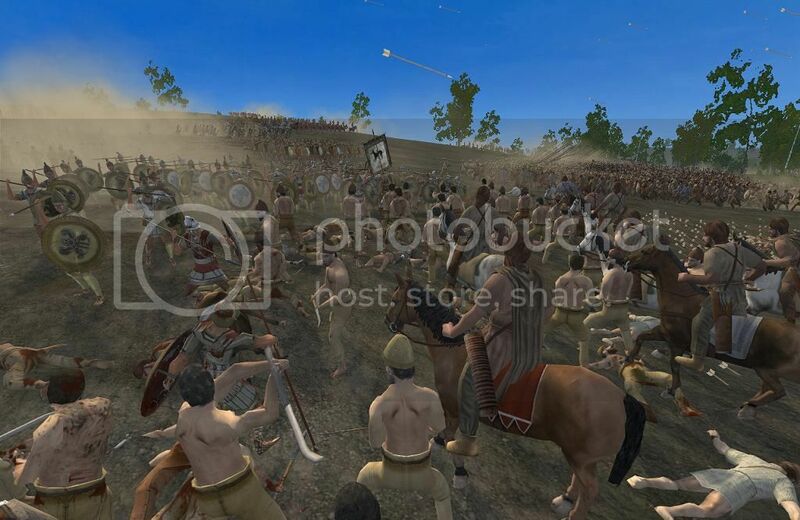 Having beaten back an assault by the Boii on Beripara, the Dacians mount their own attack. 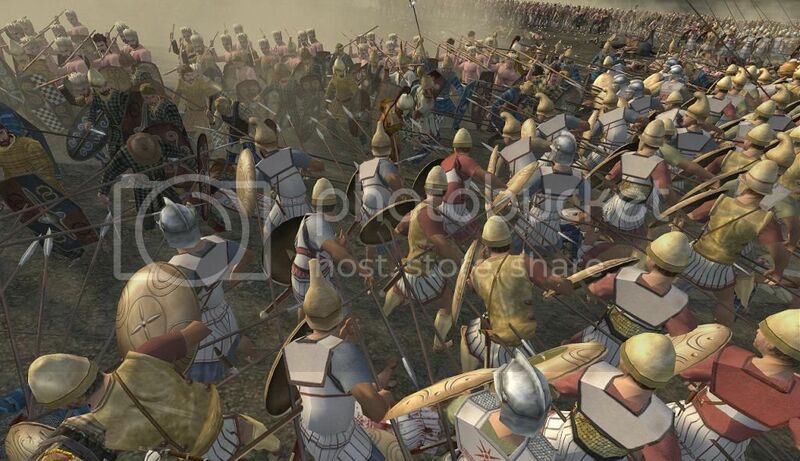 Whilst Pontus try to mount an invasion of Crete forcing hostilities to begin and a stream of Pontus armies towards the Bosporus Straits towards Greece. 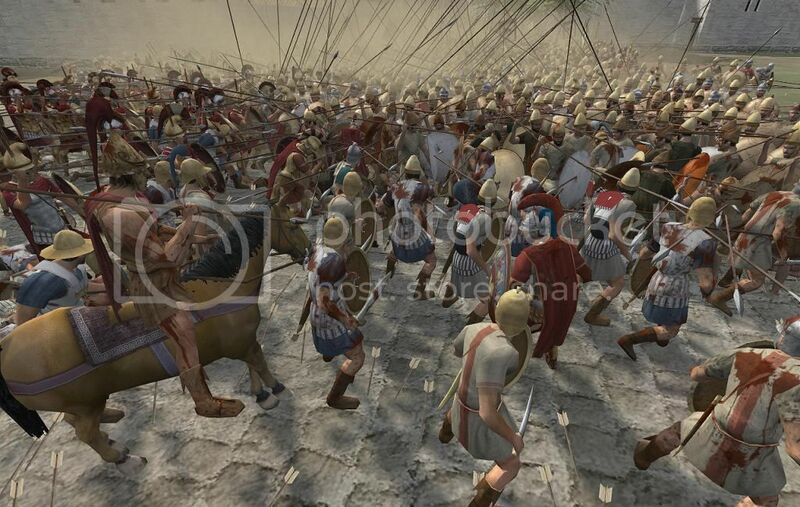 I send my armies into action against Dacia to attempt to swiftly knock out their largest armies before confronting the Pontus advance. 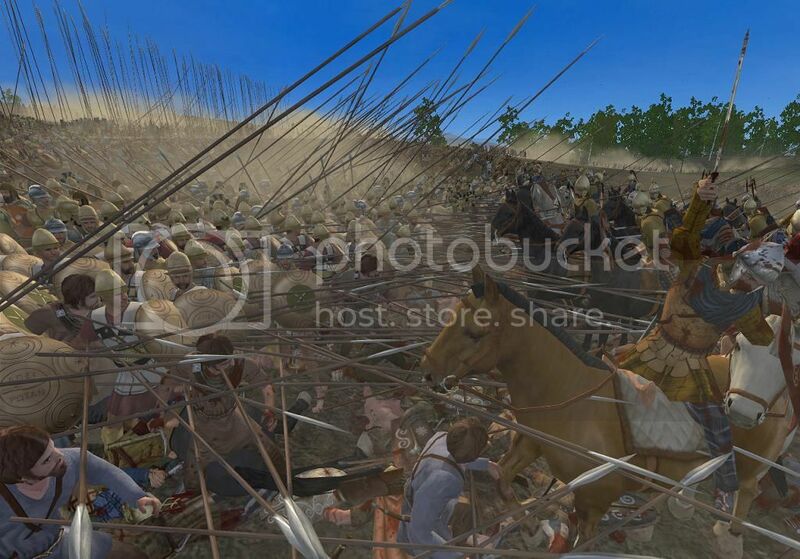 The first field battle begins against a Dacia army inflicting heavy casualties. 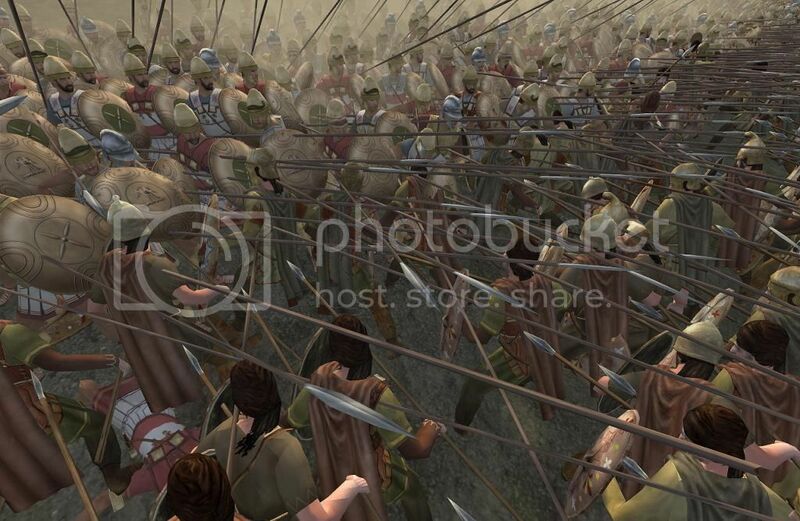 Both armies engage on a woodland fringe. 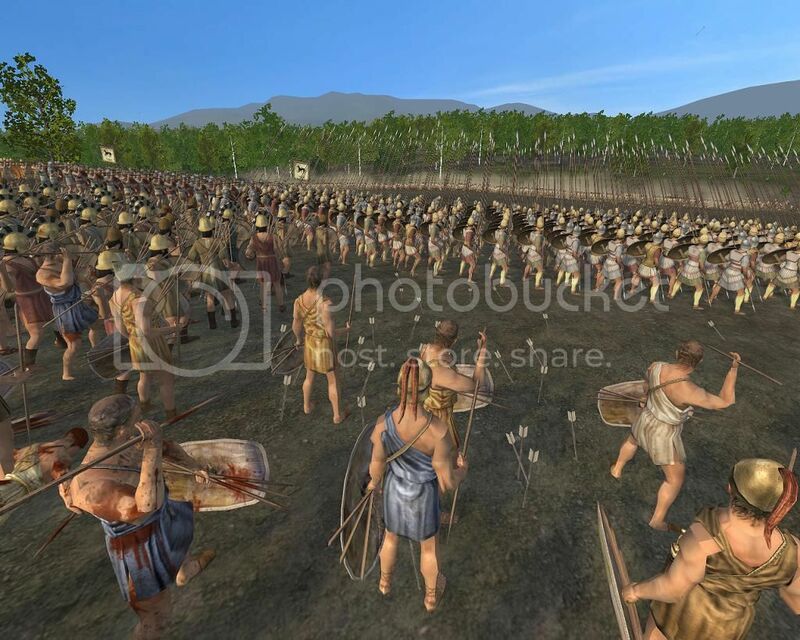 The Dacians lack heavy spears and their falx fail to counter the slow advance of my phalanx and eventually break to run back into the forest. 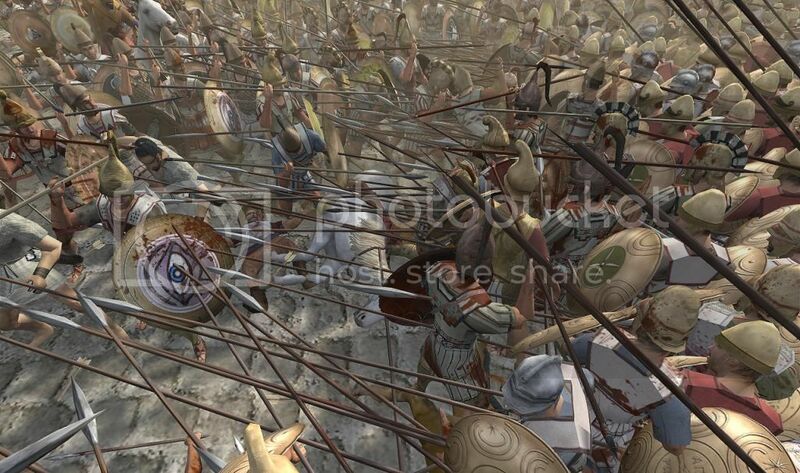 Which goes to show, don't bring a falx to a phalanx fight!! Last edited by caratacus; October 26, 2014 at 02:33 AM. 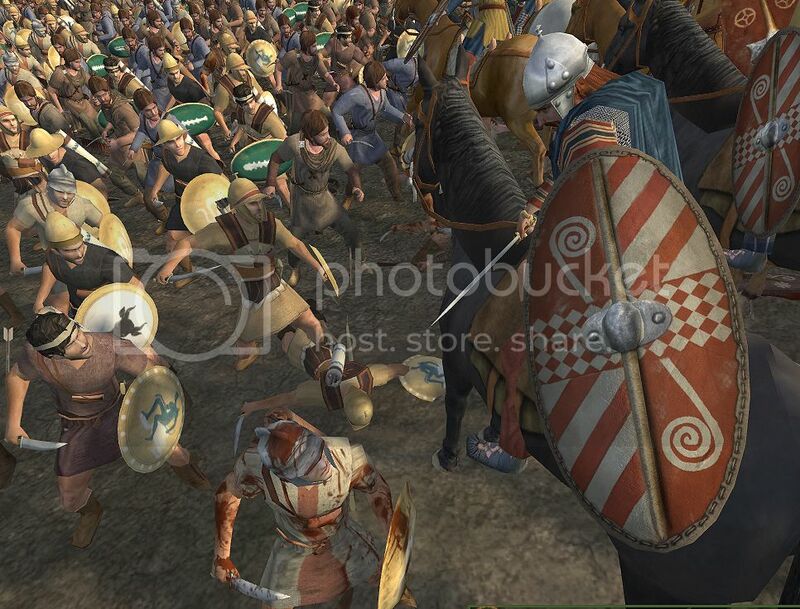 Very nice shots caratacus! 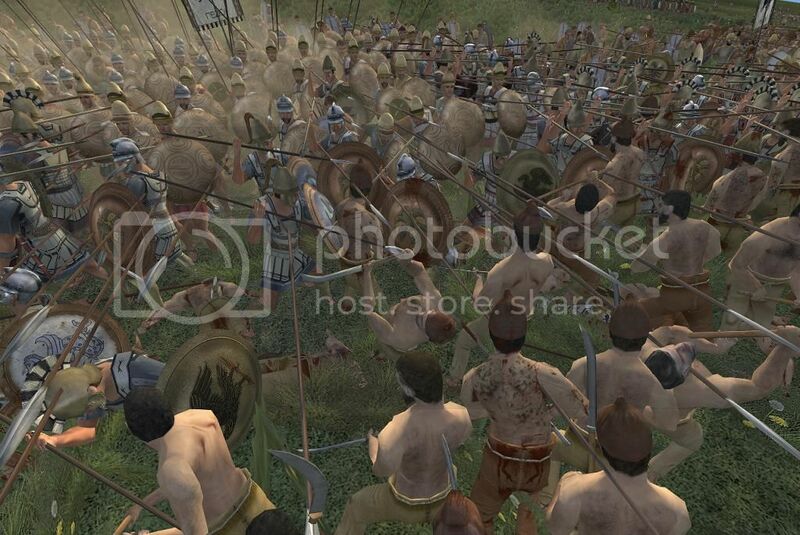 You captured the drapanai in some of their fiersome stances. Last edited by alin; October 28, 2014 at 04:44 PM. 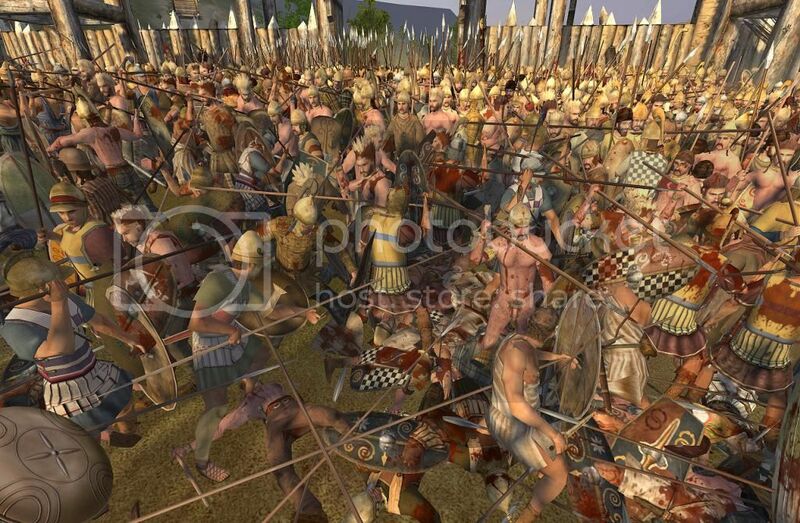 Yes the Drapanai couldn't break the phalanx and those that managed to move between the dense rows of spears, were met by my skirmishers using their swords. I must say that the Getai in EB2, seem a little laden with missile units. 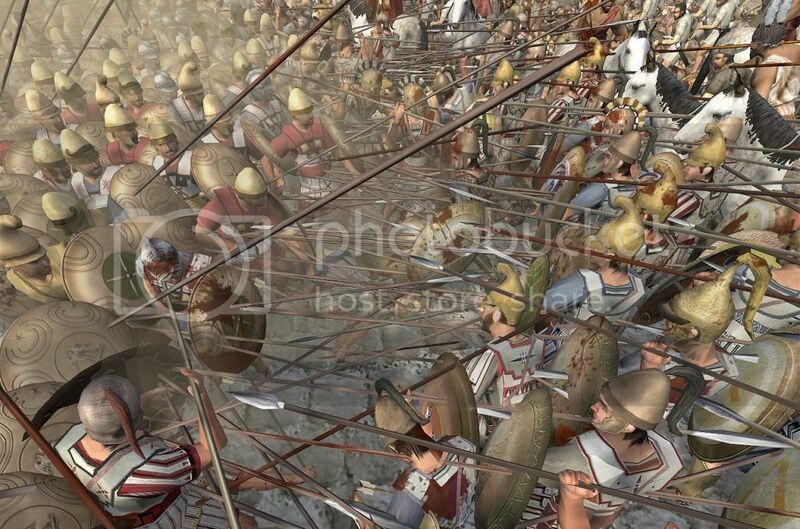 But it could be that the game hasn't progressed for their armies composition to vary. 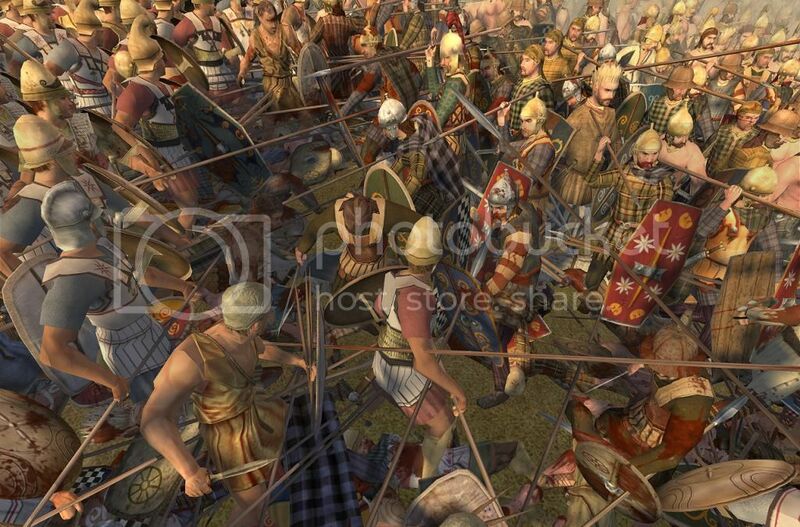 I would have liked to see more medium spearmen wearing cloaks and large shields with a Sica as secondary weapon. 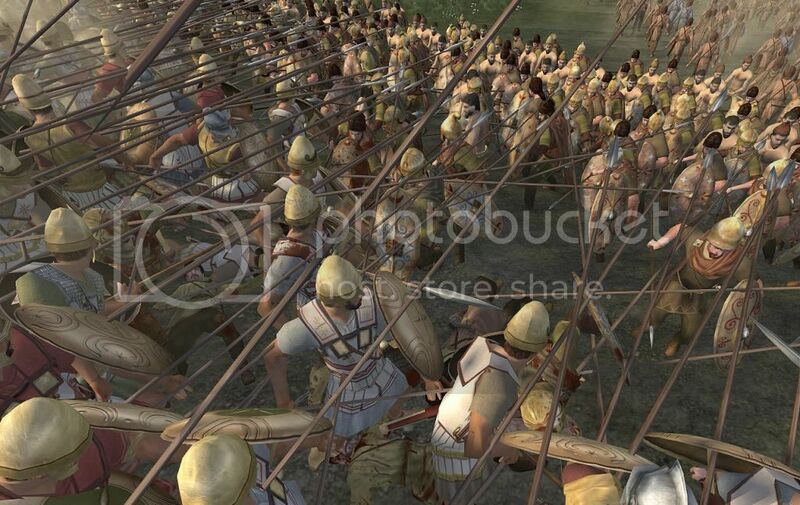 This contrasts with the Boii who are sending hefty armies towards my domain in norther Greece. 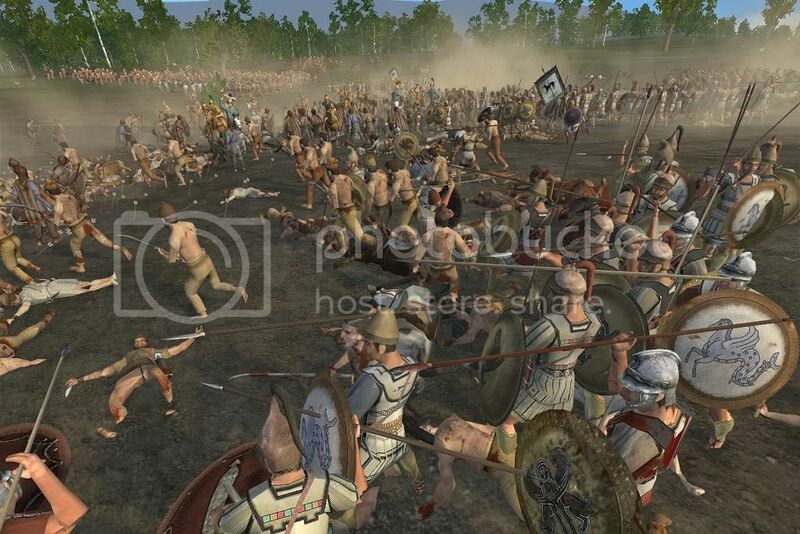 In this latest battle, two Boii armies attack my northern army and inflict heavy casualties but are beaten back through tight phalanx formations. 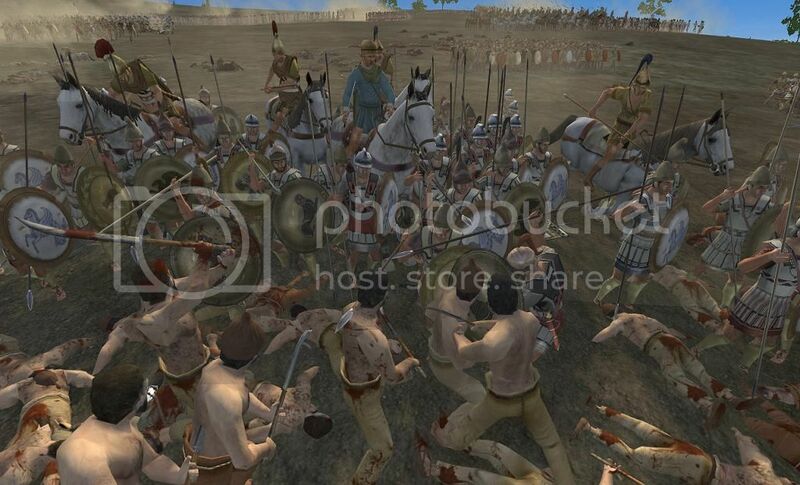 After hurling waves of warriors against my ranks, their general mounts a brave frontal charge against beleagured phalanx spearmen in a desperate final attempt to break them. Some units I'm working on. What faction is that indian one sorry?